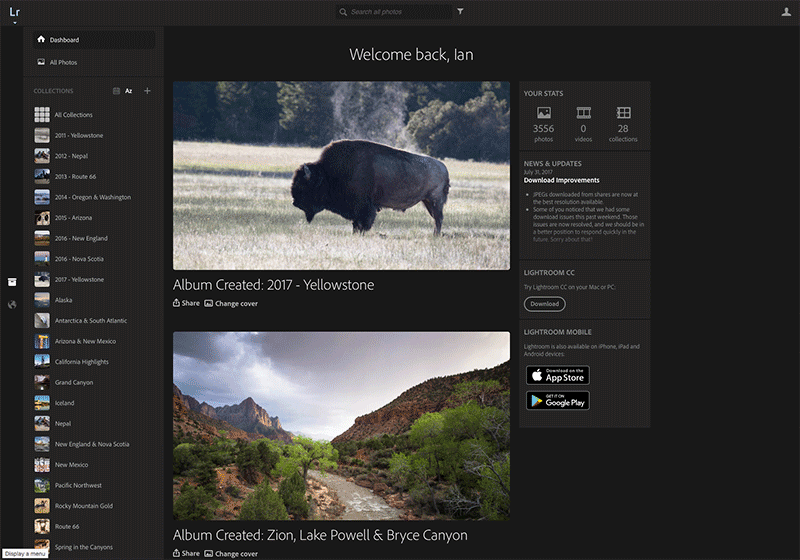 You may recall back in late November 2016 I posted some news on the latest addition to the Lightroom CC ecosystem, namely Lightroom Web. This web based application allows you to upload, manage, share and even edit images within your preferred web browser. Since I first posted details on Lr Web, Adobe have slowly been adding new features and some technology trials. For example, in early May the ‘Welcome tab’ was replaced with a Dashboard (see below). Also in May, new Auto Tone technology was added, and users were asked for feedback. An example of this technology in use is shown below. You can now filter by ratings and flags, as well as images or videos. You should see better matches for multiple search terms. The search controls have moved to the top of the screen. Dragging-and-dropping photos to the plus button in the sidebar will now create a collection. 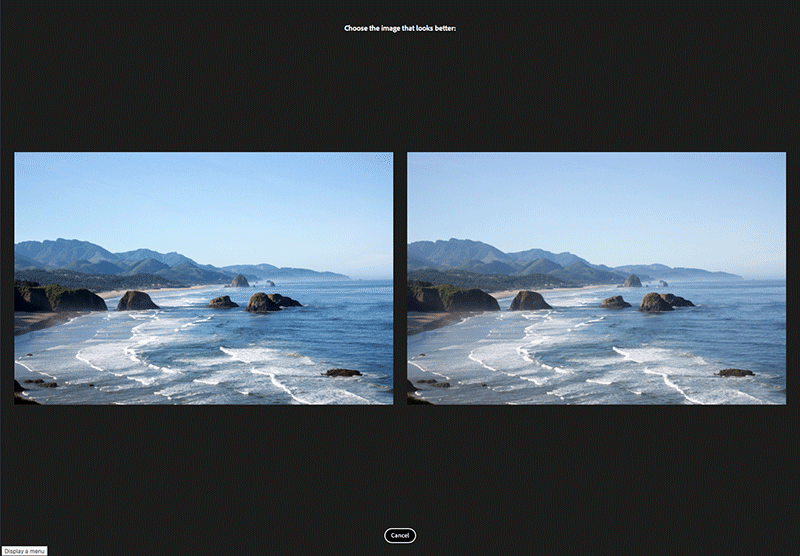 Web galleries now have display options where you can set the theme and appearance. Links on the Dashboard to download Lightroom CC and Lightroom Mobile. The screenshot shown below shows the new search feature in action. If the search produced the desired results you can click on a button at the bottom of the results panel to confirm that the search was helpful. 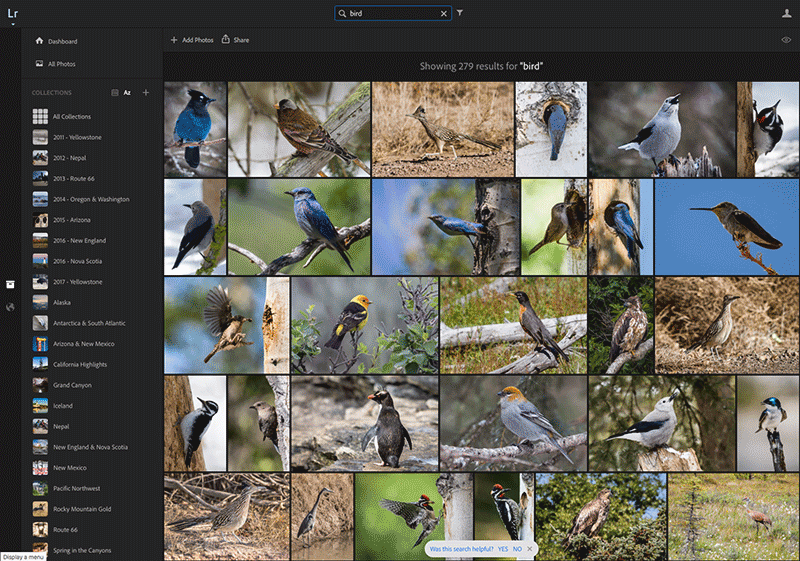 Lightroom Web will then use this information fro future searches. 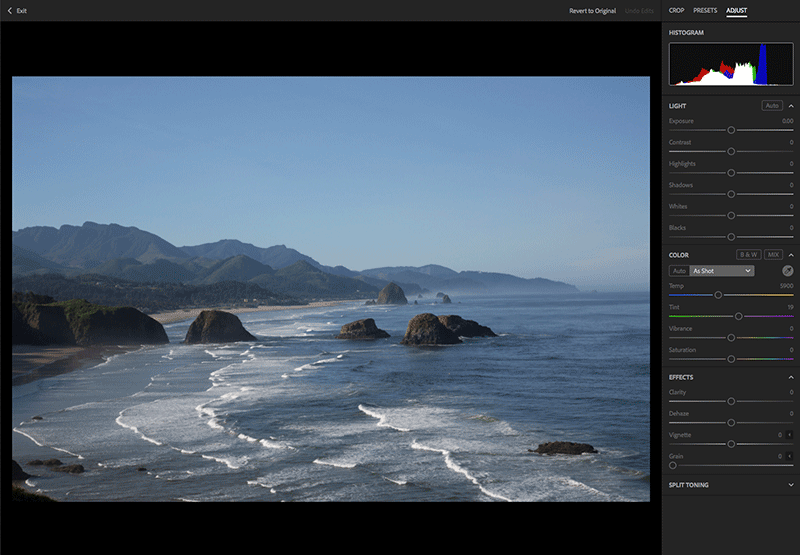 If you haven’t already tried Lightroom Web then do so, after all it’s free with your Adobe CC Photography Plan. More details can be found here. This entry was posted in Adobe, Auto Tone, Lightroom Web, Search. Bookmark the permalink.